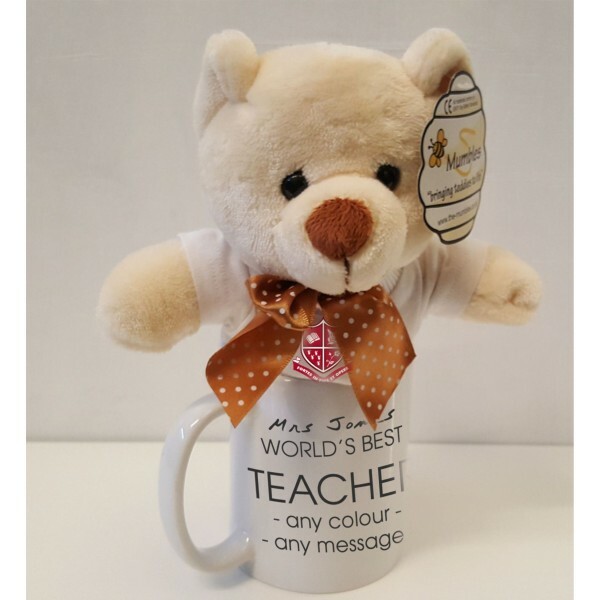 PLEASE REMEMBER TO ADD THE TEACHERS NAME BY CLICKING THE PRODUCT CUSTOMISATION TAB BELOW. DONT FORGET TO SAVE THIS BEFORE ADDING TO THE BASKET. 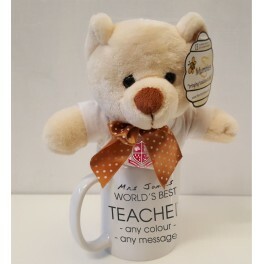 Printed mug and cute teddy set with printed tee shirt on the teddy. Personalised for your teacher. 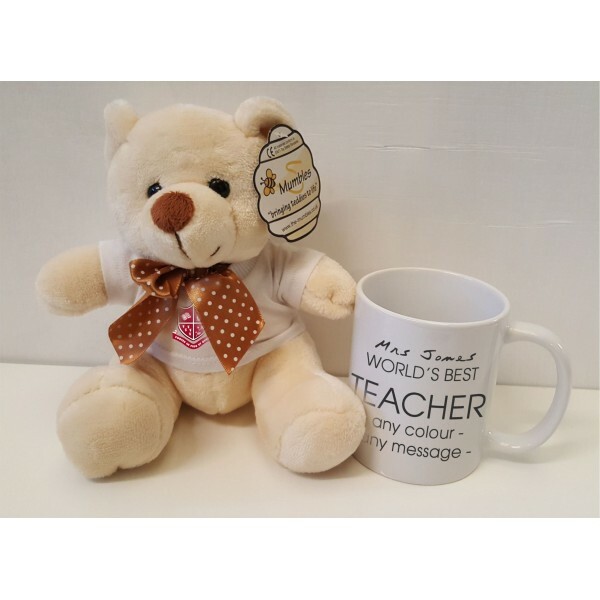 Lovely mummbles teddy bear with personalised tee shirt. This is printed with Worlds Best Teacher and the teachers name. The mug is a 10oz ceramic mug printed with Worlds Best Teacher to one side and Thanks for your help and the teachers name to the other side. PLEASE REMEMBER TO ADD THE TEACHERS NAME BY CLICKING THE PRODUCT CUSTOMISATION TAB ABOVE. DONT FORGET TO SAVE THIS BEFORE ADDING TO THE BASKET.